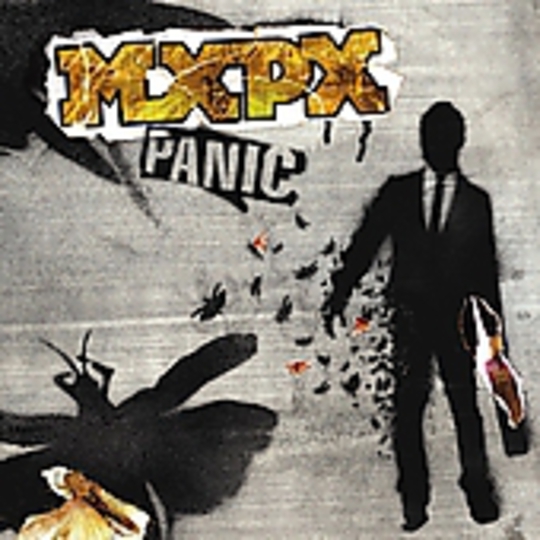 Back in the arms of an independent like a prodigal son returning from a sinful five year foray into the shallow glitz of major label stardom, MxPx are, quite reassuringly, back where they belong - out of the corporate shadow and back inside the warm pop punk environment from whence they came. Hell, they've even returned to their beloved hometown Bremerton to record this with acclaimed punk producer Gavin MacKillop (Goo Goo Dolls, Sugarcult...), which is also reassuring, given that we could well have been looking at another Ataris here, God forbid. But before you reach for your skateboard and a beat-up, sticker-clad stereo to take this to the park, let me remind you that these are not the bratty young oiks that put out '94's Pokinatcha back at the birth of modern punk rock. Times have changed, and with age comes perspective so no matter how hard Panic tries it just doesn't quite manage to re-capture the spark of Life In General or Teenage Politics, however many stabs at teenage despondency Mike Herreras makes. Being blessed with a permanently boyish charm sure helps but, given he's twice as old as he was when he first started the band, the whiney 'Young and Depressed' merely sounds patronising next to younger Drive Thru upstarts. We're grateful then for frustrated sweat-outs like 'Get Me Out', 'Waiting For The World To End' and 'The Story', with the lines "How does the story end / where did the time go / How will our lives end?" reflecting the album's apparent 'Panic' theme of looking for meaning and resolution in a world with no apparent purpose. It's also perhaps the only vague reference to their previously outspoken Christian faith - which incidentally remains as strong as ever - and symbolic of their desire to appeal _to a crowd rather than _convert them. The lovelorn simplicity of 'Wrecking Hotel Rooms' is perhaps more reflective of their current frame of mind, charting the turbulence and heartbreak of maintaining a relationship on the road and co-written with a certain level of empathy by Mark Hoppus, who also provides backing vocals, while the folk-punk Green Day-esque trounce of 'Late Again' sets the energy levels soaring once more. While we're under no illusions that this could match the greatness of their earlier Tooth & Nail releases, there still appears to be a renewed vigour and bite to this album, a familiar urgency that will warm the hearts of old fans enough to see this through the summer.